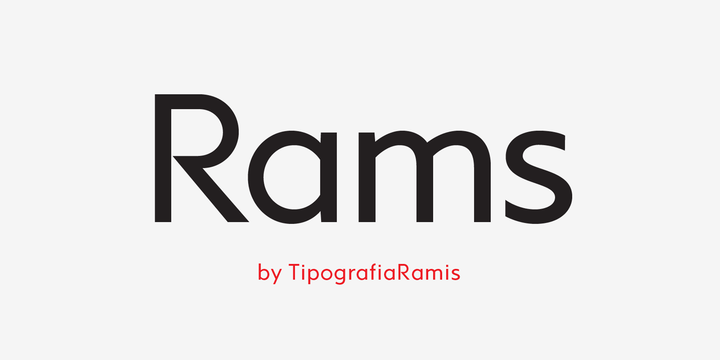 Rams is a geometric sans-serif typeface created by Ramiz Guseynov and published by TipografiaRamis. Ramis family is perfect for display, magazine, headline. Also, you’ll find language support and some opentype features. Enjoy! A font description published on Monday, April 15th, 2013 in Fonts, TipografiaRamis by Alexandra that has 4,945 views.